Higher consumption of potato dishes has been linked to this long-term medical condition. Potatoes are a starchy food that are the world’s fourth-largest food crop. Due to their high levels of potassium, potatoes are included in the US government’s healthy meals programs. However, new research shows that a high intake of potato chips (crisps), mashed, baked and boiled potatoes, along with French fries are all associated with high blood pressure. The US-based researchers recommend replacing one serving a day of potato dishes with a non-starchy vegetable. Non-starchy vegetables can help to reduce blood pressure. The research team followed 187,000 men and women for more than 20 years. They assessed the participants’ dietary intake using a questionnaire. 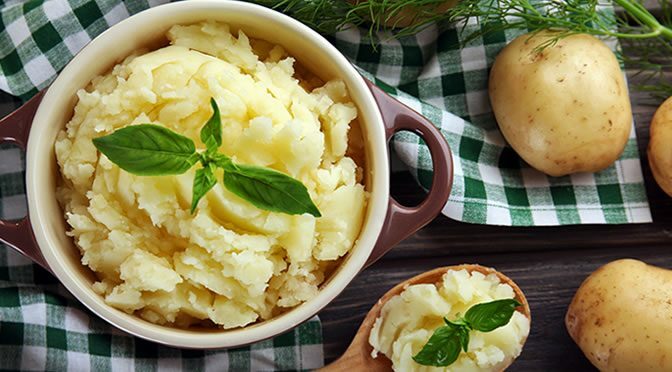 The research team found that women who consumed four or more servings a week of mashed, boiled or baked potatoes had a higher chance of hypertension. Both men and women who ate high amounts of French fries showed an increased risk of hypertension. One explanation is that compared to other vegetables, potatoes have a high glycaemic index which can cause a sharp rise in blood sugar levels. Some researchers argue that patterns of consumption and dietary behaviour are complex and difficult to measure. But they agree that diet is important and can help early management or even prevention of hypertension. The impact of a high intake potato dishes on health has been also assessed in a different study on more than 15,000 women. This study suggested that women who eat more potatoes before pregnancy may have higher rates of gestational diabetes (a type of diabetes that affects women during pregnancy). They also recommend substituting vegetables and whole grains for potatoes (Bao et al., 2016).